From Bangkok, we headed south to discover the crystal clear water and beautiful beaches in Southern Thailand. 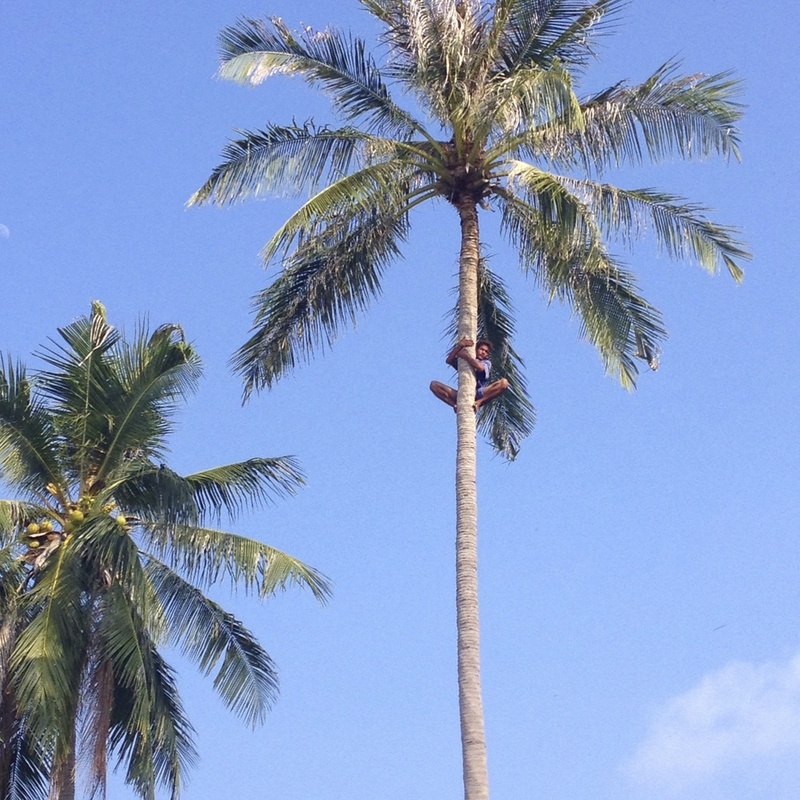 Our first stop was an island off the East Coast of Thailand – Koh Tao. There are no airports in Koh Tao, so the only way to reach the island is by boat. 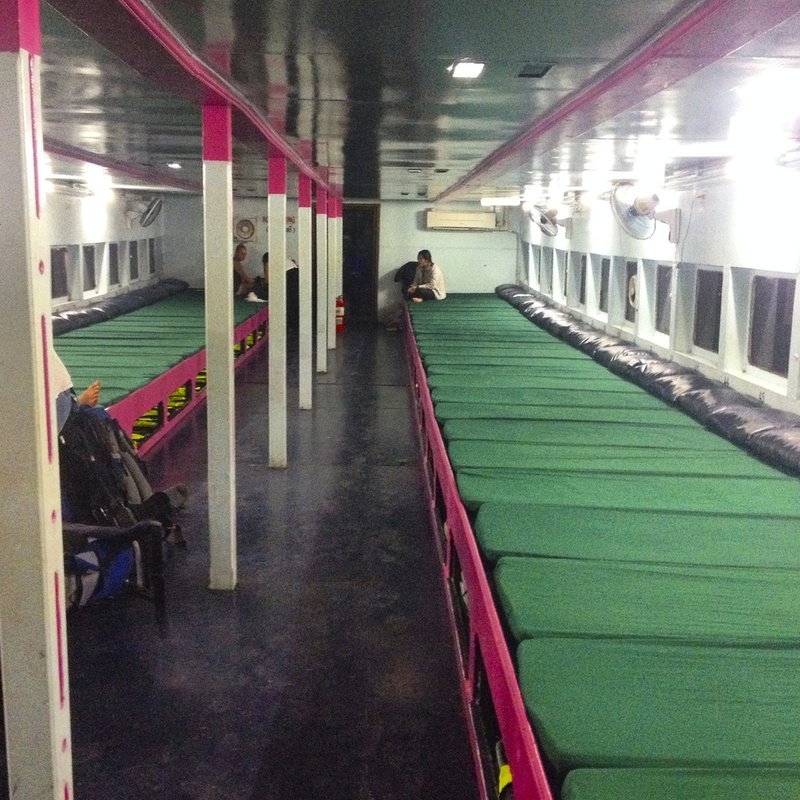 We took a bus from Bangkok to Chumphon, where the driver left us on the side of the road at four in the morning. Naturally, there were very expensive tuk-tuks waiting there willing to offer us a ride to the pier. Since we had 3 hours to kill before the first boat left for Koh Tao, we decided to begin walking. A motorbike taxi saw us walking and called a tour company that includes transportation to the pier in the boat ticket price, so we ended up getting a ride to the train station and then squeezed about 40 people into a tuk-tuk bus and headed for the pier a few hours later. The boat ride to Koh Tao was beautiful. Arriving at the port feels like a bit of a crazy circus. As soon as you get to the end of the dock someone is bound to grab you and see if you need a taxi or a hotel. 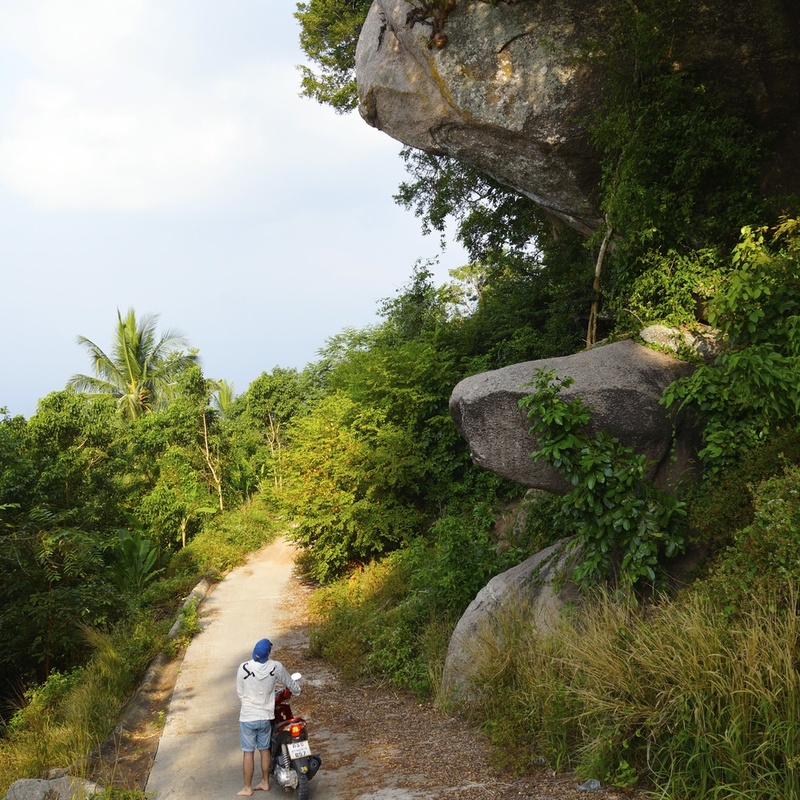 If you keep walking straight you’ll reach Mae Head, the most animated town on the island, where you can find free Koh Tao guidebooks and maps all around. We were staying in Mae Head and able to walk to our bungalow. If you’re staying on a different part of the island you can take either a taxi, waterboat taxi, or rent a scooter. Taxis on Koh Tao are all pick up trucks since the island is mountainous and it’s the only vehicle that can make it everywhere. Scooters are great for getting ALMOST everywhere, but you can’t make it up a lot of the steep roads with them. It’s a fun way to get around the island… just make sure to drive on the left side of the road! Koh Tao is famous for it’s scuba diving and snorkeling. Everywhere I swam there were tropical fish and coral to be seen. There are plenty of dive clubs in Koh Tao that offer diving packages, or one-time dive experiences. We opted to do one dive, but were able to stay on the boat and explore the area snorkeling while others did a second dive. Shark Bay was my favorite place in Koh Tao. The snorkeling was incredible and if you go during the afternoon (15:00 – 17:00) you might be lucky enough to spot black tip reef sharks. There are plenty of tours that offered snorkeling excursions but if you have a mask and snorkel, you can do it alone! We were about 100 meters from shore and had been out there for an hour when we decided to call it quits and start swimming in. The next thing I knew there was a black tip reef shark staring back at me. To my surprise, I wasn’t scared. The shark was actually pretty. After you see the shark once, you want to see another, so we stayed out for a bit longer and were able to see a few more. Barracudas and trigger fish also roam the area… as pretty as they are, make sure not to irritate them! We had a small underwater disposable camera with us when we spotted the black tip sharks, but we haven’t developed it yet so there’s no way to know if we have photos of them or not! We spent our last day in Koh Tao on the beach and took a night boat to Suratthani, a town on the east coast, and continued onto Krabi on the west coast by bus. The night boat was an experience in and of itself. The “beds” were small mats pushed up against each other, so you better hope you like your neighbors! Besides being cold (the AC was blasting), the boat ride worked wonderfully. The waves rocked me to sleep and I woke up in Suratthani the next morning.